PNEUMONIA, is an inflammatory condition of the lungs, and can be serious in some cases. More specifically, pneumonia is an inflammation of the alveoli, when the small air sacs in the lungs microscopically visible only under a microscope. Pneumonia is also a condition when the lungs fill with fluid, known as consolidation and exudation. Erratic weather due to change of seasons from rainy to dry season to watch. There are some viruses that can cause pneumonia and one of the common influenza virus. Several other viruses that can cause pneumonia are respiratory syncytial virus (RSV), and herpes or varicella virus. Other viruses that cause the common cold such as parainfluenza and adenovirus can also cause pneumonia. Some common symptoms of pneumonia are common fever and headache. 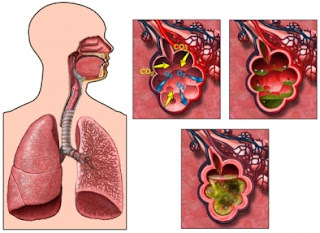 Cough and excretion of a small amount of mucus is also associated with pneumonia. People who are affected with this condition will also experience fatigue and muscle pain throughout the body. Loss of appetite and chest pains are also some of the symptoms associated with this condition. These symptoms can last for several days and because they are light it may take time for you to see them as serious enough to consult a doctor. There are limited treatment options for pneumonia, one is to treat symptoms such as headache and fever, the other is to take care themselves. If detected within 48 hours then your doctor may prescribe some medications as quoted buzzle.com. Treatment at home will be enough rest. This will help the body's natural immune system to fight infection. It is also advisable to drink plenty of fluids to avoid dehydration. This will help cleanse your body of toxins and help you recover faster. Can use drugs to symptoms such as headache and fever. If you have a child infected with pneumonia, then do not give aspirin. Cough medicine also should be taken only after consultation with your doctor. Should immediately consult a physician. If you suspect that you may have pneumonia are advised to consult with your doctor as soon as early detection will help in the treatment process. Take plenty of rest and avoid physical activity like sports, also stay away from public places to prevent the spread of the virus. PATIENTS pneumonia or inflammation of the lungs are under 50 years old and nonsmokers did not require X-ray examination to confirm the cause. In addition, the results of recent studies also show X-ray radiation increases the risk of several cancers, including breast cancer. These findings conflict with previous pneumonia treatment guidelines that requires patients to undergo X-rays to determine if pneumonia is caused by cancer. "If you are over 50 years and a smoker, you need X-ray examination in the chest," said researcher Dr. Eric Mortensen from Health Science Center at the University of Texas at San Antonio, USA. Mortensen explains, X-ray radiation is not too risky if used only occasionally, but it would be better if it was not done. If someone who does not suffer from lung cancer underwent X-ray examination, the process is futile because it will not find any cancer. Fowl act as natural asymptomatic carriers of Influenza A viruses. Prior to the current H5N1 epizootic, strains of Influenza A virus had been demonstrated to be transmitted from wild fowl to only birds, pigs, horses, seals, whales and humans; and only between humans and pigs and between humans and domestic fowl; and not other pathways such as domestic fowl to horse. Wild aquatic birds are the natural hosts for a large variety of influenza A viruses. Occasionally viruses are transmitted from these birds to other species and may then cause devastating outbreaks in domestic poultry or give rise to human influenza pandemics. Influenza A viruses spread in the air and in manure and survives longer in cold weather. It can also be transmitted by contaminated feed, water, equipment and clothing; however, there is no evidence that the virus can survive in well-cooked meat. Symptoms in animals vary, but virulent strains can cause death within a few days. Avian influenza viruses that the OIE and others test for in order to control poultry disease include: H5N1, H7N2, H1N7, H7N3, H13N6, H5N9, H11N6, H3N8, H9N2, H5N2, H4N8, H10N7, H2N2, H8N4, H14N5, H6N5, H12N5 and others. 2005: Tens of millions of birds died of H5N1 influenza and hundreds of millions of birds were culled to protect humans from H5N1. H5N1 is endemic in birds in southeast Asia and represents a long term pandemic threat. 2006: H5N1 spreads across the globe killing hundreds of millions of birds and over 100 people causing a significant H5N1 impact from both actual deaths and predicted possible deaths. Swine influenza (or "pig influenza") refers to a subset of Orthomyxoviridae that create influenza in pigs and are endemic in pigs. The species of Orthomyxoviridae that can cause flu in pigs are Influenza A virus and Influenza C virus but not all genotypes of these two species infect pigs. The known subtypes of Influenza A virus that create influenza in pigs and are endemic in pigs are H1N1, H1N2, H3N1 and H3N2. Horse flu (or "Equine influenza") refers to varieties of Influenza A virus that affect horses. Horse 'flu viruses were only isolated in 1956. There are two main types of virus called equine-1 (H7N7) which commonly affects horse heart muscle and equine-2 (H3N8) which is usually more severe. Dog flu (or "canine influenza") refers to varieties of Influenza A virus that affect dogs. The equine influenza virus H3N8 was found to infect and kill - with respiratory illness - greyhound race dogs at a Florida racetrack in January 2004. HA: (hemagglutinin): Avian influenza HA bind alpha 2-3 sialic acid receptors while human influenza HA bind alpha 2-6 sialic acid receptors. Swine influenza viruses have the ability to bind both types of sialic acid receptors. "About 52 key genetic changes distinguish avian influenza strains from those that spread easily among people, according to researchers in Taiwan, who analyzed the genes of more than 400 A type flu viruses. "How many mutations would make an avian virus capable of infecting humans efficiently, or how many mutations would render an influenza virus a pandemic strain, is difficult to predict. We have examined sequences from the 1918 strain, which is the only pandemic influenza virus that could be entirely derived from avian strains. Of the 52 species-associated positions, 16 have residues typical for human strains; the others remained as avian signatures. The result supports the hypothesis that the 1918 pandemic virus is more closely related to the avian influenza A virus than are other human influenza viruses." Human flu symptoms usually include fever, cough, sore throat, muscle aches, conjunctivitis and, in severe cases, severe breathing problems and pneumonia that may be fatal. The severity of the infection will depend to a large part on the state of the infected person's immune system and if the victim has been exposed to the strain before, and is therefore partially immune. Highly pathogenic H5N1 avian influenza in a human is far worse, killing 50% of humans that catch it. In one case, a boy with H5N1 experienced diarrhea followed rapidly by a coma without developing respiratory or flu-like symptoms. * H9N2, H7N2, H7N3, H5N2, H10N7. 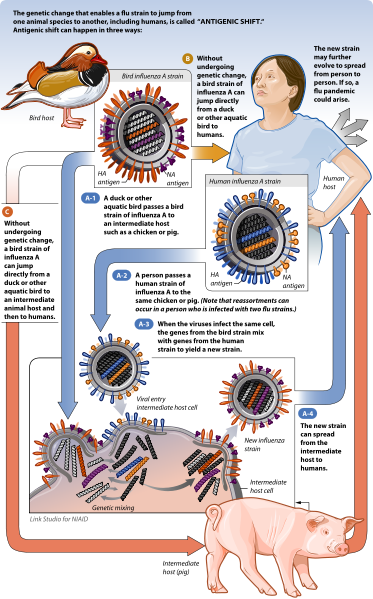 Influenza A virus causes influenza in birds and some mammals and is the only species of Influenzavirus A. Influenzavirus A is a genus of the Orthomyxoviridae family of viruses. Strains of all subtypes of influenza A virus have been isolated from wild birds, although disease is uncommon. Some isolates of influenza A virus cause severe disease both in domestic poultry and, rarely, in humans. Occasionally viruses are transmitted from wild aquatic birds to domestic poultry and this may cause an outbreak or give rise to human influenza pandemics. Influenza A viruses are negative sense, single-stranded, segmented RNA viruses. There are several subtypes, labeled according to an H number (for the type of hemagglutinin) and an N number (for the type of neuraminidase). There are 16 different H antigens (H1 to H16) and nine different N antigens (N1 to N9). The newest H type (H16) was isolated from Black-headed Gulls caught in Sweden and the Netherlands in 1999 and reported in the literature in 2005. Each virus subtype has mutated into a variety of strains with differing pathogenic profiles; some pathogenic to one species but not others, some pathogenic to multiple species. A filtered and purified Influenza A vaccine for humans was developed and many countries have stockpiled it to allow a quick administration to the population in the event of an Avian influenza pandemic. Avian influenza is sometimes called avian flu, and commonly bird flu. Different influenza viruses encode for different Hemagglutinin and Neuraminidase proteins. For example, the H5N1 virus designates an influenza A subtype that has a type 5 Hemagglutinin (H) protein and a type 1 Neuraminidase (N) protein. There are 16 known types of Hemagglutinin and 9 known types of Neuraminidase, so, in theory, 144 different combinations of these proteins are possible. Some Variants are identified and named according to the isolate that they are like and thus are presumed to share lineage (example Fujian flu virus like); according to their typical host (example Human flu virus); according to their subtype (example H3N2); and according to their deadliness (example LP, Low Pathogenic). So a flu from a virus similar to the isolate A/Fujian/411/2002(H3N2) is called Fujian flu, human flu, and H3N2 flu. The annual flu (also called "seasonal flu" or "human flu") in the U.S. "results in approximately 36,000 deaths and more than 200,000 hospitalizations each year. In addition to this human toll, influenza is annually responsible for a total cost of over $10 billion in the U.S." The annually updated trivalent influenza vaccine consists of hemagglutinin (HA) surface glycoprotein components from influenza H3N2, H1N1, and B influenza viruses. Measured resistance to the standard antiviral drugs amantadine and rimantadine in H3N2 has increased from 1% in 1994 to 12% in 2003 to 91% in 2005. Contemporary human H3N2 influenza viruses are now endemic in pigs in southern China and can reassort with avian H5N1 viruses in this intermediate host." HA encodes hemagglutinin (about 500 molecules of hemagglutinin are needed to make one virion) "The extent of infection into host organism is determined by HA. Influenza viruses bud from the apical surface of polarized epithelial cells (e.g. bronchial epithelial cells) into lumen of lungs and are therefore usually pneumotropic. The reason is that HA is cleaved by tryptase clara which is restricted to lungs. However HAs of H5 and H7 pantropic avian viruses subtypes can be cleaved by furin and subtilisin-type enzymes, allowing the virus to grow in other organs than lungs." NA encodes neuraminidase (about 100 molecules of neuraminidase are needed to make one virion). M encodes two matrix proteins (the M1 and the M2) by using different reading frames from the same RNA segment (about 3000 matrix protein molecules are needed to make one virion). NS encodes two distinct non-structural proteins (NS1 and NEP) by using different reading frames from the same RNA segment. PA encodes an RNA polymerase. PB1 encodes an RNA polymerase and PB1-F2 protein (induces apoptosis) by using different reading frames from the same RNA segment. PB2 encodes an RNA polymerase. The genome segments have common terminal sequences, and the ends of the RNA strands are partially complementary, allowing them to bond to each other by hydrogen bonds. After transcription from negative-sense to positive-sense RNA the +RNA strands get the cellular 5' cap added by cap snatching, which involves the viral protein NS1 binding to the cellular pre-mRNAs. The cap is then cleaved from the cellular pre-mRNA using a second viral protein, PB2. The short oligo cap is then added to the influenza +RNA strands, allowing its processing as messenger RNA by ribosomes. The +RNA strands also serve for synthesis of -RNA strands for new virions. The RNA synthesis and its assembly with the nucleoprotein takes place in the cell nucleus, the synthesis of proteins takes place in the cytoplasm. The assembled virion cores leave the nucleus and migrate towards the cell membrane, with patches of viral transmembrane proteins (hemagglutinin, neuraminidase and M2 proteins) and an underlying layer of the M1 protein, and bud through these patches, releasing finished enveloped viruses into the extracellular fluid. Influenza A (H1N1) virus is a subtype of influenza A virus and was the most common cause of human influenza (flu) in 2009. Some strains of H1N1 are endemic in humans and cause a small fraction of all influenza-like illness and a small fraction of all seasonal influenza. H1N1 strains caused a few percent of all human flu infections in 2004–2005. Other strains of H1N1 are endemic in pigs (swine influenza) and in birds (avian influenza). As of 26 April 2011, an H1N1 pandemic preparedness alert has been issued by the World Health Organisation (WHO) for the Americas. The affected areas have included the Chihuahua region of Mexico where its severity and work load have been high. It is reported by the aforementioned Recombinomics source that the current vaccine (California/7/2009) for H1N1 influenza might be losing its effectiveness in 2011. This point is all the more significant since it is the current virus target for the northern hemisphere's flu vaccine, and is the intended choice for the southern hemisphere. In the 2009 flu pandemic, the virus isolated from patients in the United States was found to be made up of genetic elements from four different flu viruses – North American swine influenza, North American avian influenza, human influenza, and swine influenza virus typically found in Asia and Europe – "an unusually mongrelised mix of genetic sequences." This new strain appears to be a result of reassortment of human influenza and swine influenza viruses, in all four different strains of subtype H1N1. Preliminary genetic characterization found that the hemagglutinin (HA) gene was similar to that of swine flu viruses present in U.S. pigs since 1999, but the neuraminidase (NA) and matrix protein (M) genes resembled versions present in European swine flu isolates. The six genes from American swine flu are themselves mixtures of swine flu, bird flu, and human flu viruses.While viruses with this genetic makeup had not previously been found to be circulating in humans or pigs, there is no formal national surveillance system to determine what viruses are circulating in pigs in the U.S. In April 2009, an outbreak of Influenza-like illness occurred in Mexico and the USA; the CDC reported seven cases of novel A/H1N1 influenza. By April 24 it became clear that the outbreak of ILI in Mexico and the confirmed cases of novel influenza A in the southwest US were related and WHO issued a health advisory on the outbreak of "influenza like illness in the United States and Mexico". The disease then spread very rapidly, with the number of confirmed cases rising to 2,099 by May 7, despite aggressive measures taken by the Mexican government to curb the spread of the disease. On June 11, 2009, the WHO declared an H1N1 pandemic, moving the alert level to phase 6, marking the first global pandemic since the 1968 Hong Kong flu. On October 25, 2009 U.S. President Barack Obama officially declared H1N1 a national emergency. Despite President Obama's concern, a Fairleigh Dickinson University PublicMind poll found in October 2009 that an overwhelming majority of New Jerseyans (74%) were not very worried or not at all worried about contracting the H1N1 flu virus. A study conducted in coordination with the University of Michigan Health Service is scheduled for publication in the December 2009 American Journal of Roentgenology warning that H1N1 flu can cause pulmonary embolism, surmised as a leading cause of death in this current pandemic. The study authors suggest physician evaluation via contrast enhanced CT scans for the presence of pulmonary emboli when caring for patients diagnosed with respiratory complications from a "severe" case of the H1N1 flu. March 21, 2010 worldwide update by the U.N.'s World Health Organization (WHO) states that "213 countries and overseas territories/communities have reported laboratory confirmed cases of pandemic influenza H1N1 2009, including at least 16,931 deaths." As of May 30, 2010 worldwide update by World Health Organization(WHO) more than 214 countries and overseas territories or communities have reported laboratory confirmed cases of pandemic influenza H1N1 2009, including over 18,138 deaths. The research team of Andrew Miller MD showed pregnant patients are at increased risk. It has been suggested that pregnant women and certain populations such as native North Americans have a greater liklihood of developing a T helper type 2 response to H1N1 influenza which may be responsible for the systemic inflammatory response syndrome that causes pulmonary edema and death. Swine influenza (also called swine flu, or pig flu) is an infection by any one of several types of swine influenza virus. Swine influenza virus (SIV) is any strain of the influenza family of viruses that is endemic in pigs. As of 2009, the known SIV strains include influenza C and the subtypes of influenza A known as H1N1, H1N2, H3N1, H3N2, and H2N3. Swine influenza virus is common throughout pig populations worldwide. Transmission of the virus from pigs to humans is not common and does not always lead to human influenza, often resulting only in the production of antibodies in the blood. If transmission does cause human influenza, it is called zoonotic swine flu. People with regular exposure to pigs are at increased risk of swine flu infection. The meat of an infected animal poses no risk of infection when properly cooked. Pigs experimentally infected with the strain of swine flu that is causing the current human pandemic showed clinical signs of flu within four days, and the virus spread to other uninfected pigs housed with the infected ones. During the mid-20th century, identification of influenza subtypes became possible, allowing accurate diagnosis of transmission to humans. Since then, only 50 such transmissions have been confirmed. 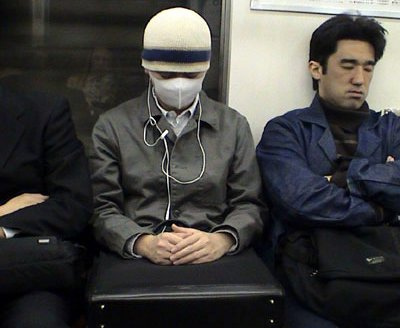 These strains of swine flu rarely pass from human to human. Symptoms of zoonotic swine flu in humans are similar to those of influenza and of influenza-like illness in general, namely chills, fever, sore throat, muscle pains, severe headache, coughing, weakness and general discomfort. The recommended time of isolation is about five days. The Spanish flu, also known as la grippe, La Gripe Española, or La Pesadilla, was an unusually severe and deadly strain of avian influenza, a viral infectious disease, that killed some 50 to 100 million people worldwide over about a year in 1918 and 1919. It is thought to be one of the most deadly pandemics in human history. The 1918 flu caused an unusual number of deaths, possibly due to it causing a cytokine storm in the body. (The current H5N1 bird flu, also an Influenza A virus, has a similar effect). The Spanish flu virus infected lung cells, leading to overstimulation of the immune system via release of cytokines into the lung tissue. This leads to extensive leukocyte migration towards the lungs, causing destruction of lung tissue and secretion of liquid into the organ. This makes it difficult for the patient to breathe. In contrast to other pandemics, which mostly kill the old and the very young, the 1918 pandemic killed unusual numbers of young adults, which may have been due to their healthy immune systems mounting a too-strong and damaging response to the infection. The term "Spanish" flu was coined because Spain was at the time the only European country where the press were printing reports of the outbreak, which had killed thousands in the armies fighting World War I. Other countries suppressed the news in order to protect morale.